Spiders can be very difficult to treat for, as they are found in many different locations due to the many different species. With spiders we almost have to spray the spider directly to get a kill. Some species of spiders will be in a corner along the ceiling and will never leave that location, which is why just spraying the baseboards won’t do it. With spiders, to be successful we need to focus on what they are feeding on. Since spiders feed on other insects the best way to control spiders is to control other insects. If we remove the food source spiders will leave on there own. 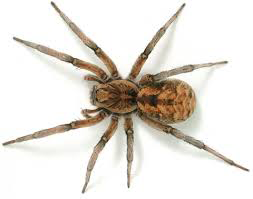 We understand that most people want the spiders gone right now and we will come into your home and spray common areas for spiders as well as common areas for the insects they are feeding on. We recommend a quarterly service plan to maintain a pest free environment and help eliminate the spider population.